Indonesia's president, Joko Widodo, turned to the language of comic books to describe the threats the world faces today. "Not since the great depression of the 1930s have trade wars erupted with the intensity that they have today. 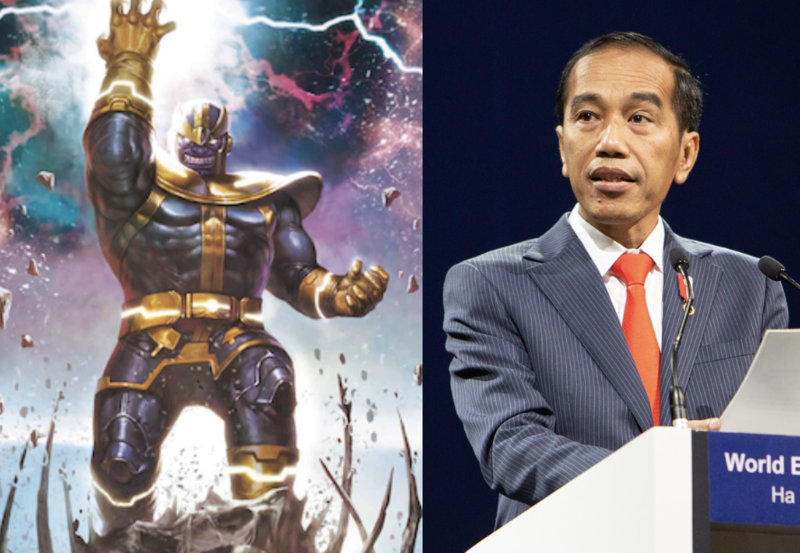 But rest assured, I and my fellow Avengers stand ready to defend Thanos from wiping out half of the population," he said in a plenary speech at the World Economic Forum on the Association of South East Asian Nations (ASEAN) on Wednesday. "We must prevent trade wars from becoming the infinity war," he said, referring to the plot of a Marvel comic-turned-Hollywood blockbuster. "You might be wondering – who is Thanos? Thanos is not any individual person. Sorry to disappoint you. Thanos is inside all of us. Thanos is the misguided belief that for us to succeed, the other must surrender, the misconception that the rise of some means the decline of others," he said. The president used tongue-in-cheek language to make a serious point: economics is not a zero sum game of winners and losers. Countries can trade and prosper together, as many leaders from the region underlined.